The new Bowers & Wilkins Zeppelin Air iPod dock may have the same startling looks as the original Zeppelin, but it has a few new tricks up its sleeve. The electronics have been redesigned from scratch, the amplifiers have been upgraded, plus two additional amplifiers have been added, so each speaker is now separately driven. Finally, a digital to analog converter has been added. Multiple Zeppelins can be added to a home or office for a multi-room music system. Probably the biggest change with the new Zeppelin is that it is an iPod dock in which the iPod does not have to be docked. The Zeppelin Air uses Apple’s Air Play technology, allowing you to wirelessly play music, games or video from your iPad, iPod Touch and iPhone, as well as Mac computer and PC. If you want to go old-school and actually dock your device, the Zeppelin Air is compatible with iPhone 4, iPhone 3GS, iPhone 3G, iPhone, iPod touch, (4th, 3rd, 2nd and 1st generations) iPod classic and iPod nano (6th, 5th, 4th, 3rd and 2nd generations). 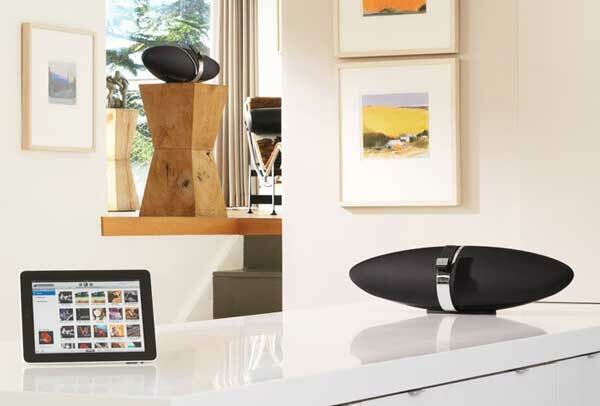 Like so many devices, the Bowers & Wilkins Zeppelin Air was announced at the 2011 International Consumer Electronics Show in Las Vegas. It will go on sale in March 2011, with a price of US$599.99.